Stephen Broadbent worked as a design consultant for the City regeneration team of Peterborough City Council developing overarching themes that reveal the hidden history of the street and crafting site specific artworks and urban elements that were integrated into the fabric of the streetscape. 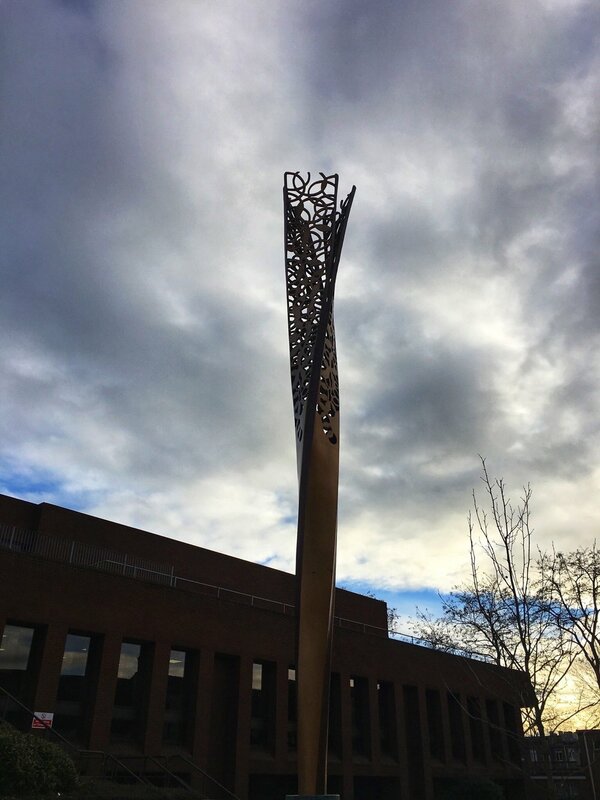 After a process of consultation and design development three distinct elements were manufactured by the studio and installed in Lower Bridge Street in 2017. A Bronze and stone sculpture entitled ‘The Voice of the City’; Cast bronze and carved timber totems ‘Riverside Gateway Totems; and a crafted timber ‘Riverside Planter’. 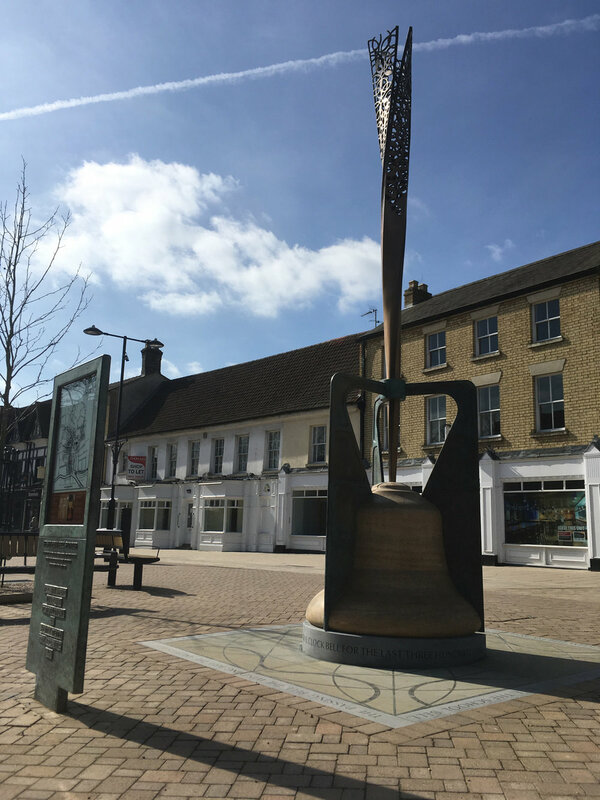 The voice of the City sculpture stands near the spot where the foundry of Henry Penn (1685-1729) once stood, where bells were cast for Peterborough Cathedral and for churches far and wide. The sculpture explores the nature of a City bell - A voice, a summons, a clock. The note is struck, the call is heard, the people come together. A bell channels sound, puts out a call, pulls in a community. A bell draws to itself as, down the ages, Peterborough has drawn to itself the talents of 5 surrounding counties, and yet further afield.